The views just don’t get any better than this. 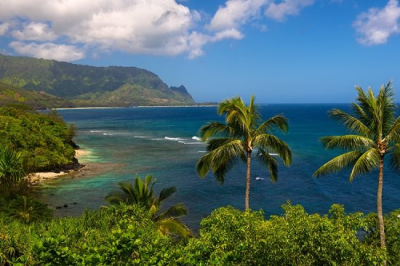 Bali Hai and Hanalei Bay views with the awesome sunsets right from your condo. This one bedroom/one bathroom condo is fully furnished and a very active vacation rental. The covered lanai opens up to a level grass area so you can walk right out on to the lawn. Pali Ke Kua is a development of 99 condos and offers a swimming pool and hot tub. It is the only development in Princeville that offers a private paved walkway to the beach for swimming and snorkeling. There is even a grill at the beach. An on-site restaurant is opening soon.